Ah, so all the f^ggot supporters get righteously indignant now? Neither is more perverse than the other. They are morally equivalent. If you were on the last bandwagon, Modern Family fans, hop onto the next. The fk you babbling about ?? I like to assemble plastic planes. That's one of my many hobbies. Overweight suburban Detroit white guilt lib with eighty IQ. Go back to TJI. You will find no friends here. Whereas I use my mighty intellect to constantly steal names and talk about f'ckin my dead mother. Mmmm, intimacy with a decedent. A corpse. Necro philia is the next frontier now that same sechs is normalized and we're all in agreement that consenting adults is the only precondition. Why not posthumous consent? Morality, schmorality. Don't judge me, bigot! I think I might be gay. You know, like one of them gay h0m0s-xuals. Are you the same guy who did his dead mother? You need serious therapy, dude. Jeff Roem, the name swiping troll is the dead mother humper. I only did if a couple of times. Don't judge me, bigot. And the crazy part is that reading her book would be more interesting than listening to you. The book was excellent. Hope Hollywood doesn't ruin it. 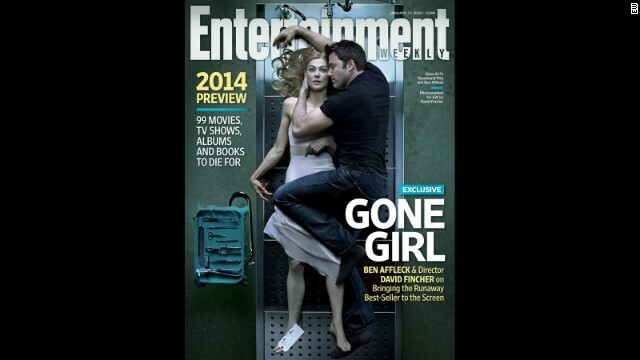 "Gone Girl" was a fantastic book. All of Gillian Flynn's books are fantastic.